When I was in elementary school, my art class was given an assignment to sculpt and paint a superhero made out of clay. After much deliberation, I decided that my pottery-hero would be a giant garbage bag whose mission it was to consume (and of course, RECYCLE whenever able) all of the world’s evil waste! My eco-friendly superhero stayed a clay figurine and never did come to life. But what if he had… What planet-saving advice would he share with folks who cherish the environment (and the beauty of the woods) as much as I do? What would he say to those tree-lovers who are hesitant to add printed pieces to their marketing strategies? Environmental awareness is on the rise, so it’s important for customers and marketers alike to know that paper and print industries are looking out for our planet. 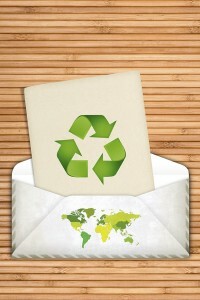 Paper remains one of the most recycled products in the world. The paper industry supports sustainable forest management, and most printed pieces are made from renewable energy sources. So if you’re looking for ways to take part in responsible paper sourcing, independent third-party certification is a great way to ensure that the paper you use comes from responsibly managed forests. The Program for the Endorsement of Forest Certification (PEFC) helps you find PEFC-certified materials that come from forests that are sustainably managed. Forest Stewardship Council (FSC) certification ensures that products come from well-managed forests that provide environmental, social, and economic benefits. The Sustainable Forestry Initiative has a searchable database to help you find forest products (like paper) that demonstrate your corporate social responsibility. Got questions about your next print-marketing project? Let us know in the comments below, or connect with us on LinkedIn.